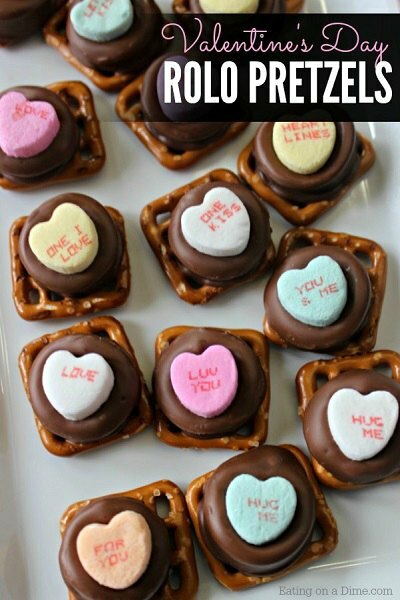 If you are looking for ideas to take to class parties or just something to surprise your family on Valentine’s Day, we have 20 ideas sure to be a hit with everyone. From decadent cakes and desserts to bite size treats, there is something for everyone to enjoy. There are so many delicious treats, it might be hard to choose only one! We have lots of ideas to make Valentine’s Day special for your friends and family. These are recipes that will not take tons of time or a ton of ingredients because who has time for that? These are ideas that are easy on the budget and everyone will love. 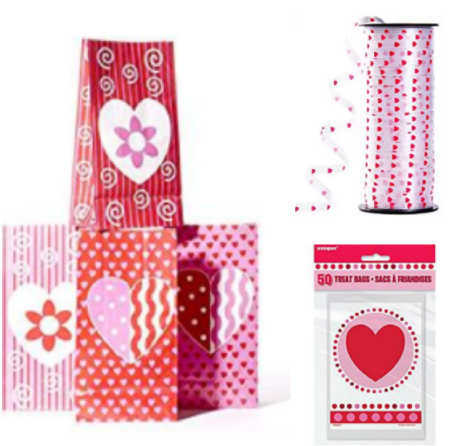 Grab some of these fun bags and containers for Valentines baking! If you are handing out treats to friends, order a pack of these festive bags for Valentine’s Day. You can also grab some cute Valentine’s ribbon to complete the look. So cute! Let’s get started with these Valentines day desserts ideas! 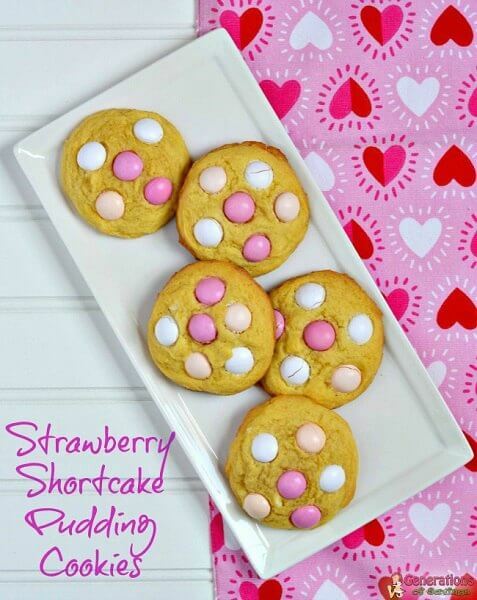 This dessert is so simple and the conversation hearts make it perfect for Valentine’s Day! These are bite size and so fun for classroom treats. 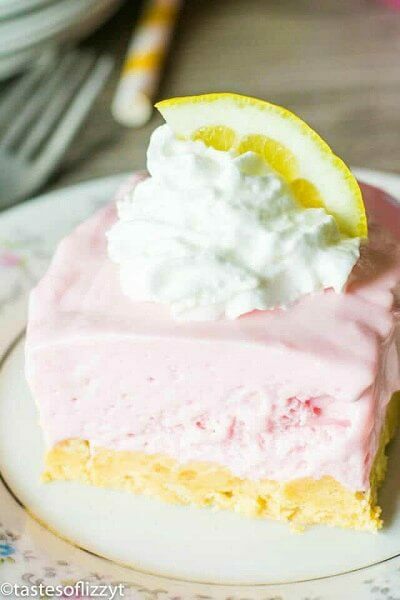 Strawberry and Lemon make the perfect combination for a yummy treat for Valentine’s Day. 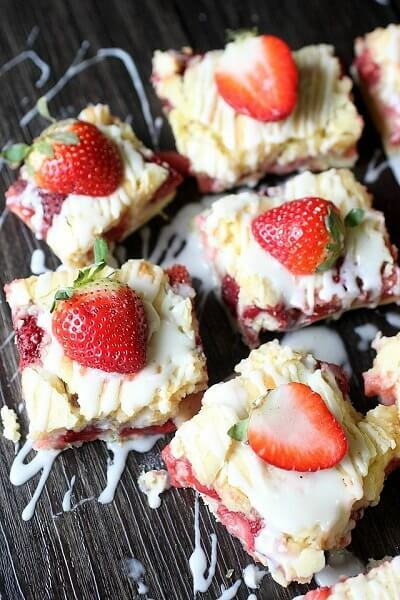 Drizzle with extra icing if you like and a fresh strawberry. 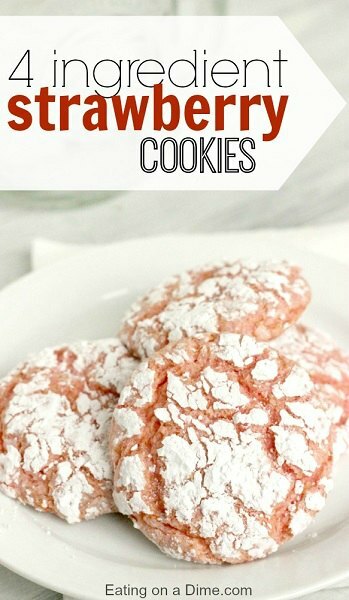 These creamy strawberry cookies are so moist and delicious. The Strawberry cream icing make them even better. 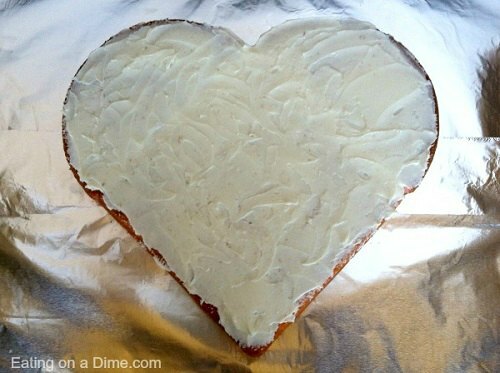 Don’t buy expensive heart cakes at the store! Learn how to quickly and easily make one at home. So simple and it’s delicious too! You could make chocolate cake or whatever you prefer. Layers of cheesecake and red velvet goodness make this dessert out of this world. Use a glass dish to show off this layer cake. Perfect for handing out to friends! 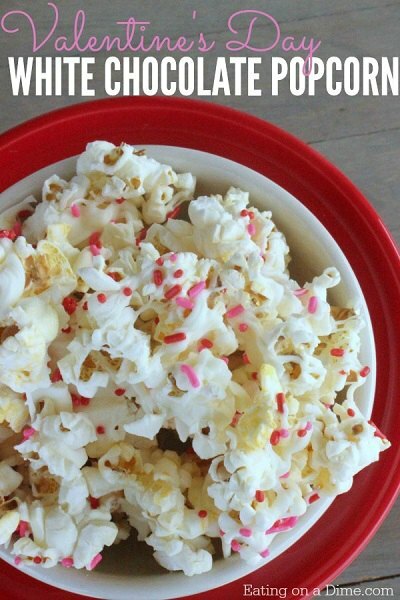 This recipe is a combination of popcorn, yummy white chocolate and more! 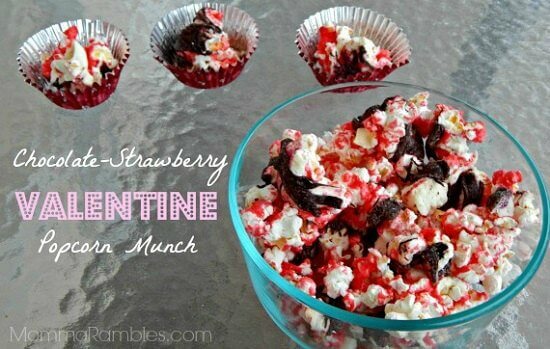 The pink and red sprinkles make this so pretty for Valentine’s Day. Chocolate, popcorn and other goodies make the perfect popcorn munch treat. Make a big bowl and watch a movie! Chocolate lovers will enjoy this treat. 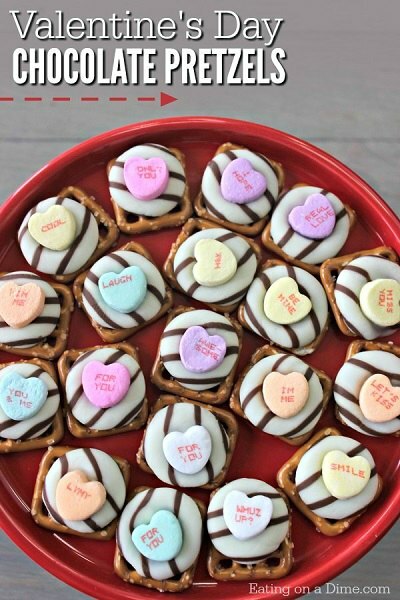 Pretzels, Hershey Kisses and conversation hearts make the sweetest combination for Valentine’s Day. This is one little treat that sure packs a big punch. So cute and tasty! 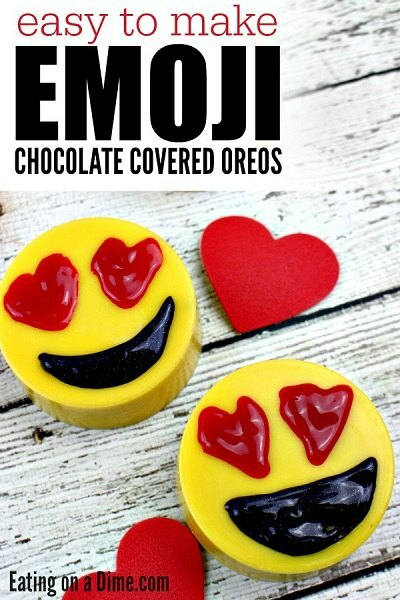 Kids especially will love these Emogi style cookies. Let them help decorate and hand out to their friends. 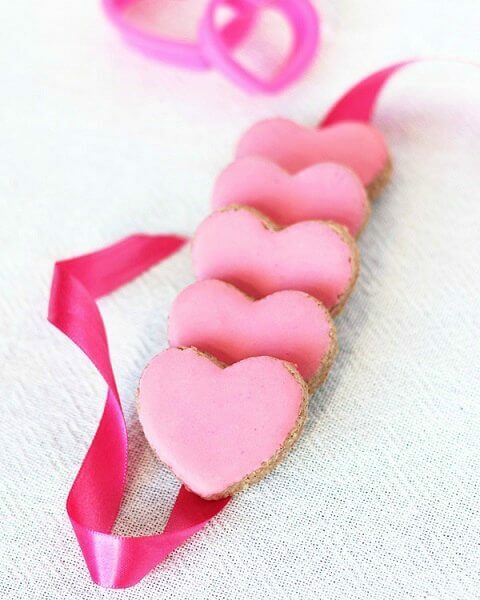 Heart cookies are just the thing for a special Valentine’s Day! The cinnamon adds a little something special. So easy to make that you will not believe it! 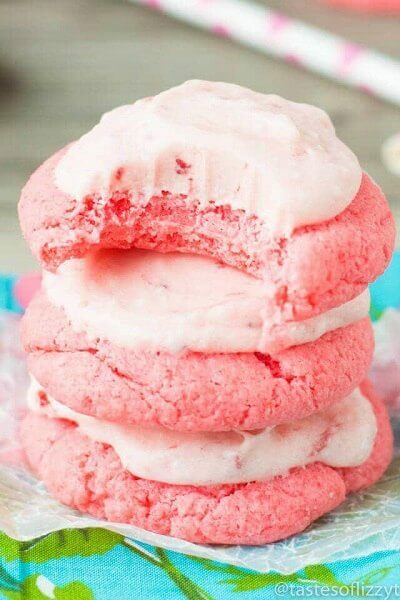 These strawberry cookies are amazing and the gorgeous pink color make them perfect for Valentine’s Day! 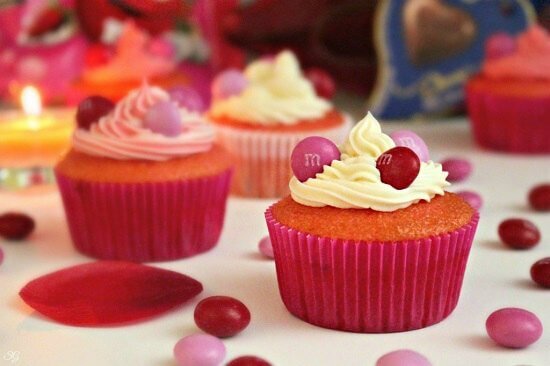 Make strawberry cupcakes and top with pink and red M&Ms! They will look so festive and taste yummy too! 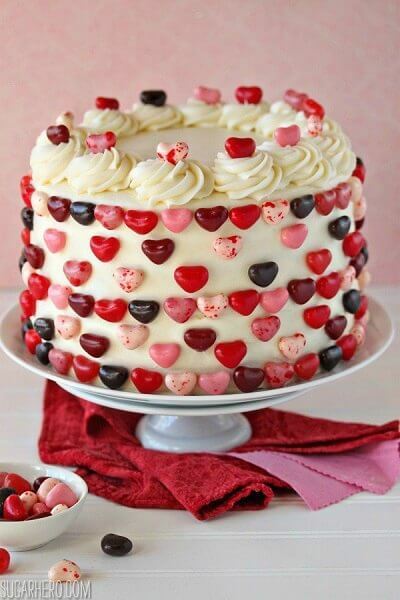 Layers of Red Velvet Cake plus Pink Velvet make this dessert stunning for Valentine’s Day. Garnish with candy to complete the look. The perfect dessert after a lovely Valentine’ s dinner. Your family will devour this yummy ice box cake once you serve it! It reminds me of a tasty cream pie with cream cheese. 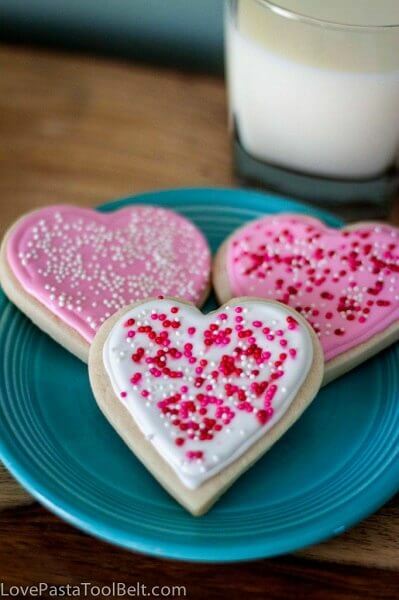 Decorate heart shaped cookies with royal icing and top with sprinkles. Kid’s will love this one! 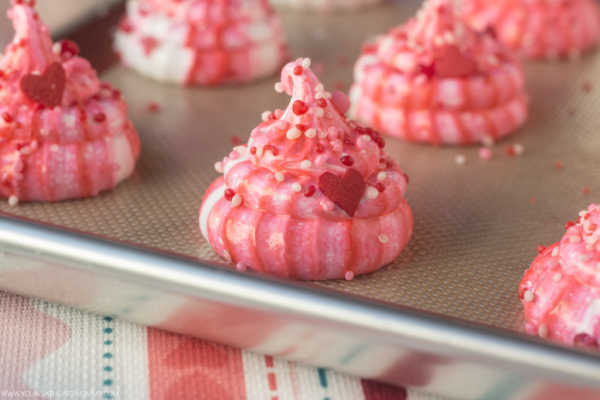 Use food coloring to make these meringue cookies extra special and festive. The pop of color will be gorgeous and make perfect light valentine’s day desserts. Soft sugar cookies with cherry chips mixed in taste delicious and look so festive! 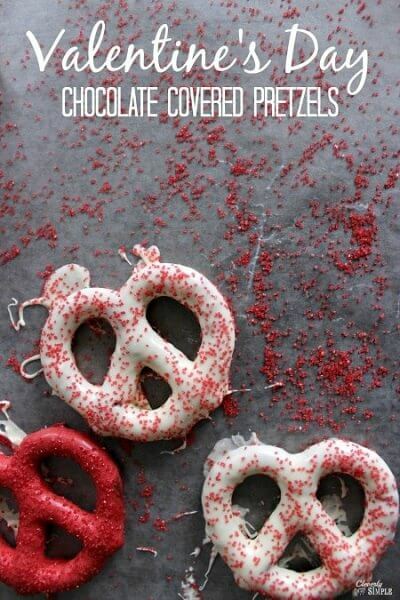 Dip pretzels in chocolate and top with red and pink sprinkles. The kids can help with this one! Pudding is the secret ingredient in this cookie! 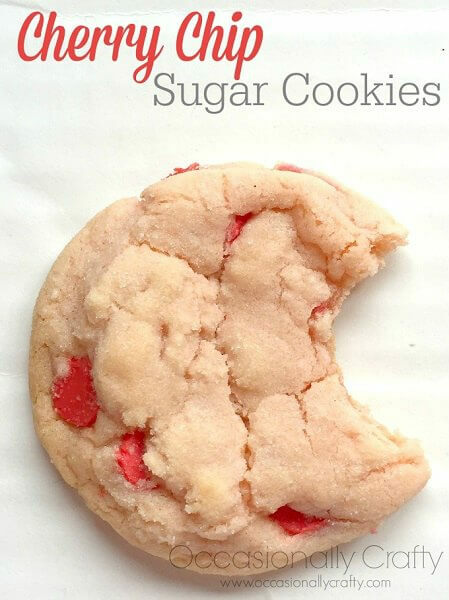 Sounds amazing and tastes a little like strawberry cheesecake in a cookie. Which of these easy valentine’s day desserts will you make? 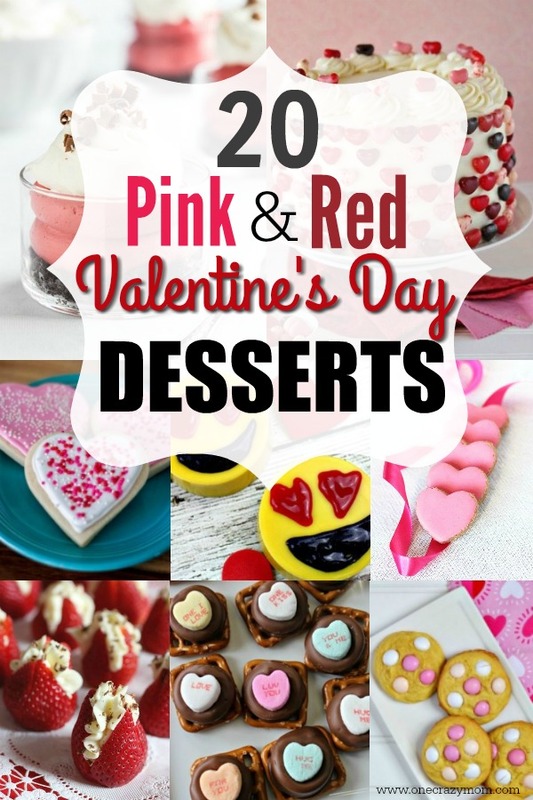 Now you have 20 amazing heart desserts and pink desserts to try for Valentine’s Day! Whether you are surprising your family or making treats for friends, there is something for everyone. Get the kids involved and let them pick a treat to help make for their friends. Another idea is to brighten someones day that might need cheering up with one of these fun desserts. Gather the family to make something and share it with a neighbor or friend. I bet one of these treats would really put a smile on someone’s face plus it would teach the children about blessing others! 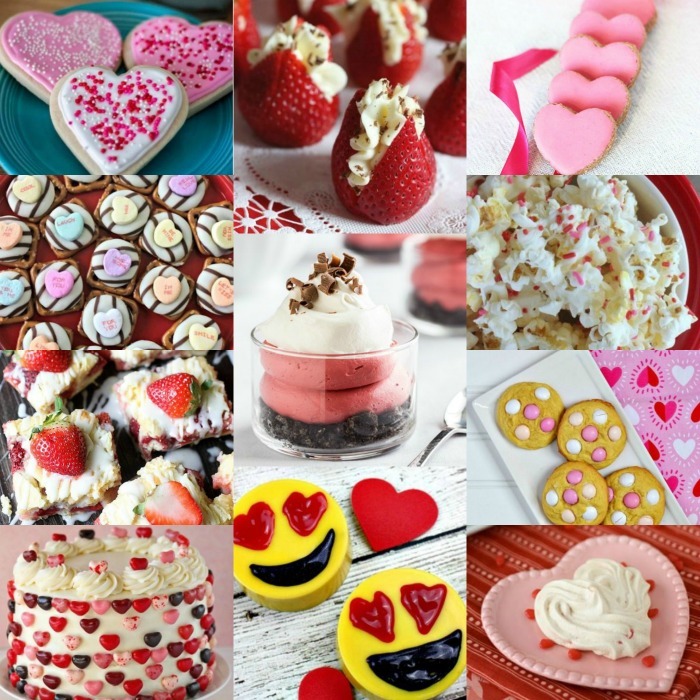 Valentine’s Day is the perfect day to brighten someone’s day with cute valentines desserts! 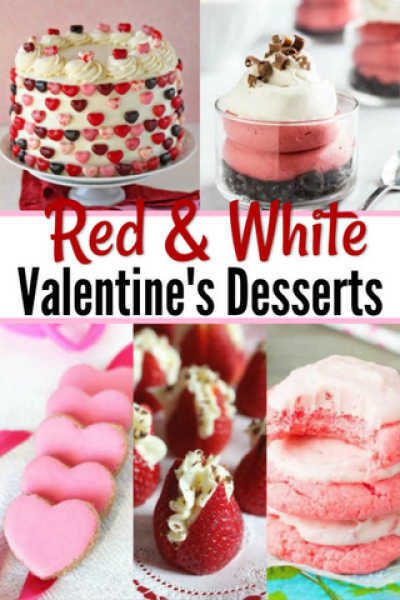 No need to look for valentine day desserts pinterest ideas when you have 20 delicious and easy ideas to try right here! 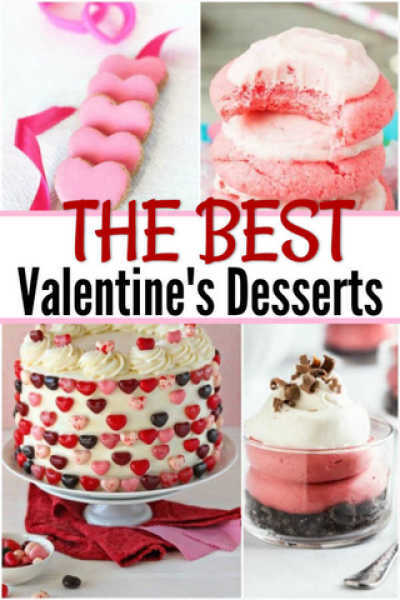 Whether you like fancy desserts like chocolate ganache and chocolate mousse for valentine day treats or simple desserts recipes like ice cream, there are tons to bake for valentine’s day dessert. These desserts recipes make an easy valentine and have rich chocolate and more! From Valentine’s day brownie ideas and Valentine’s day cheesecake recipes, there is so much to choose from. 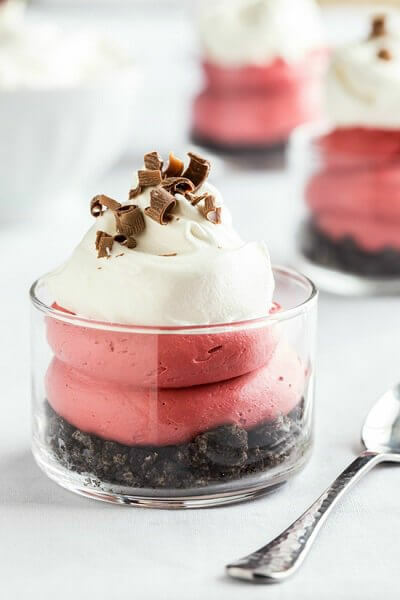 Your family will feel so special when you serve these festive desserts on Valentine’s Day. 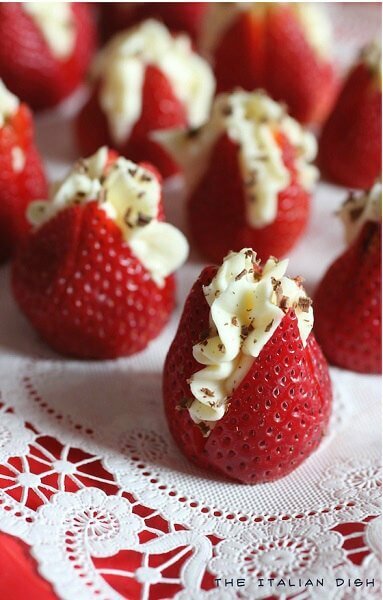 You can even try Valentine mini desserts for the perfect romantic desserts for two! Make sure to also check out this Valentines Dinner for 2 for just $14 with printable grocery list! With so many great ideas to make at home, there is no need to go out and fight the crowds or spend tons of money. Everyone will have a blast at home and enjoy these amazing recipes. Choose from lots of fun and festive St. Patrick’s day desserts sure to be be a hit. From candy and cupcakes to popcorn and other treats, there are delicious ideas for everyone.